Therefore, Q4 US GDP wasn’t as bad as feared, cushioning the uncertainty about those specific three months in question. If it wasn’t uniformly awful, then, maybe, 2019 will start out going back the other way, the good way. Except, first Japan reported a plunge in Industrial Production. This was for the month of January 2019, hardly an auspicious result suggesting limited downside and quick turnaround. Seasonally-adjusted, the level of production in manufacturing as well as overall industry tanked for the second straight January. Production is down almost 5% from Japan’s Reflation #3 peak set, as everywhere else, around December 2017. Unadjusted, the 6-month average year-over-year rate has fallen to just 0.2%. It’s the weakest since 2016, the direction for more than Japan pretty much confirmed. Japan Inc. is heavily tied in with Chinese economic fortunes. Both sell to the same user markets, and the Japanese source a lot of components from China. Therefore, if Japan is experiencing growing economic difficulties we would be surprised if they weren’t showing up in its Asian neighbor right alongside. Chinese officials won’t update the Big 3 statistics for January, IP, Retail Sales, and FAI, until the middle of next month. Because of the Golden Week skew, they are released as a single time period – January plus February. 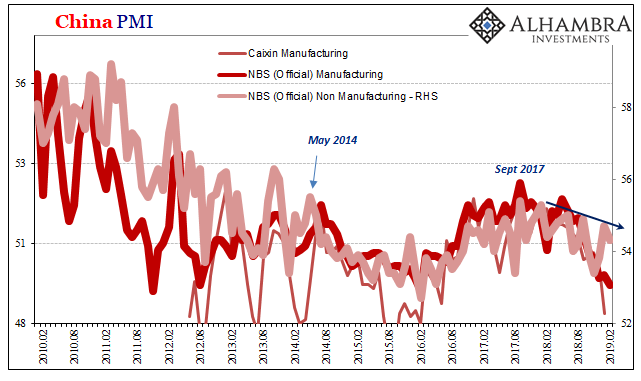 China’s National Bureau of Statistics has kept up with its PMI’s, though. In the service sector, the downward overall drift remains the dominant setting. 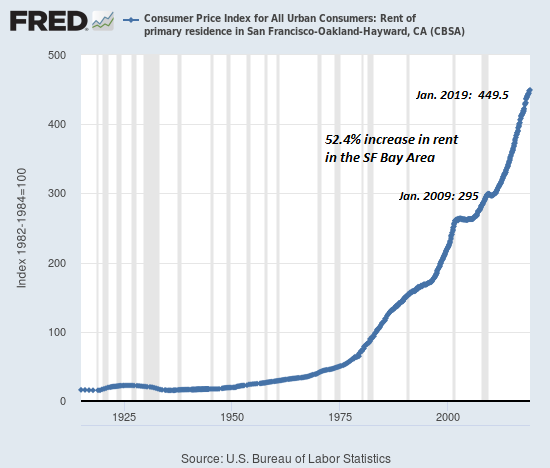 At 54.3 in February 2019, that’s slightly less than the 54.7 figured for January. The trajectory has been downward since early on last year. 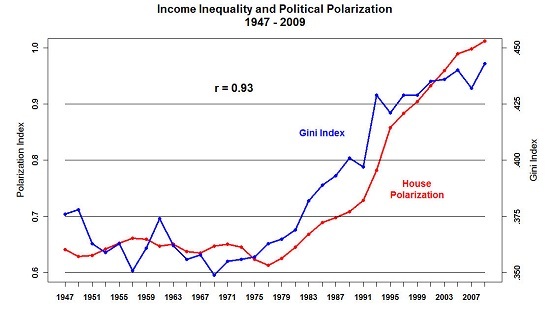 As concerning as that already is, the manufacturing side is a growing disaster. The official manufacturing PMI fell to 49.2, the lowest since the worst month of the last global downturn (February 2016), all but erasing hope that this is just some minor, and brief, interruption before the resumption of globally synchronized growth. 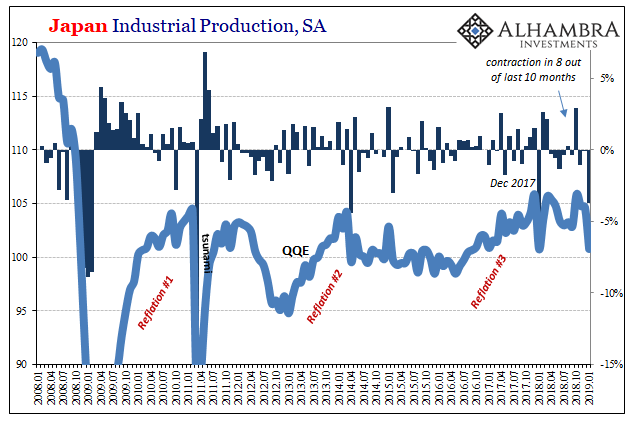 The production component dropped below 50 (49.5) for the first time since January 2009. Meanwhile, the real source of China’s still growing weakness, global trade, new orders for exporting goods collapsed in February. The index was calculated into serious recession territory, just 45.2 this month. 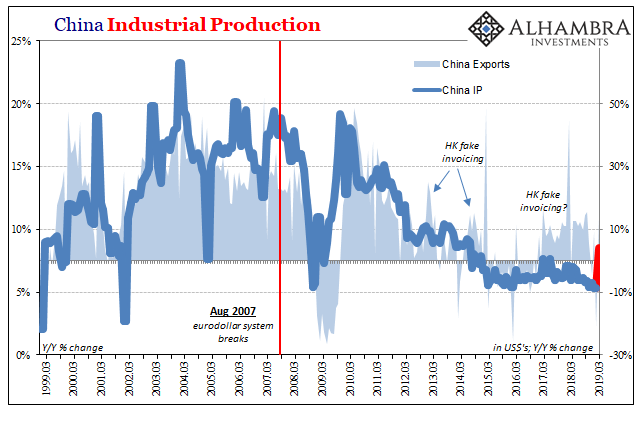 Like production, because production levels in China are very closely related to global trade and exports, this was the lowest for the PMI component also since January 2009. In 2018, in the face of the complicated and severe international environment as well as the daunting and heavy tasks of reform, development and stability, under the strong leadership of the Central Committee of the Communist Party of China with Comrade Xi Jinping as the core and the guidance of Xi Jinping Thought on Socialism with Chinese Characteristics for a New Era, all regions and departments have implemented the spirit of the 19th National Congress of the Communist Party of China and the second and third plenary sessions of the 19th Central Committee of the Communist Party of China, followed the decisions and arrangements made by the CPC Central Committee and the State Council, promoted balanced economic, political, cultural, social and ecological progress, coordinated the implementation of the four-pronged comprehensive strategy, adhered to the general working guideline of making progress while maintaining stability, thoroughly implemented the new development philosophy and committed to the requirement of high-quality development. The funny thing, this actually was the plan only the Western media has been unable to grasp this contrary reality. It is interesting these opening references to the 19th Party Congress. That was the one which set about this course of trying to deal with a global economy which actually isn’t going to grow. 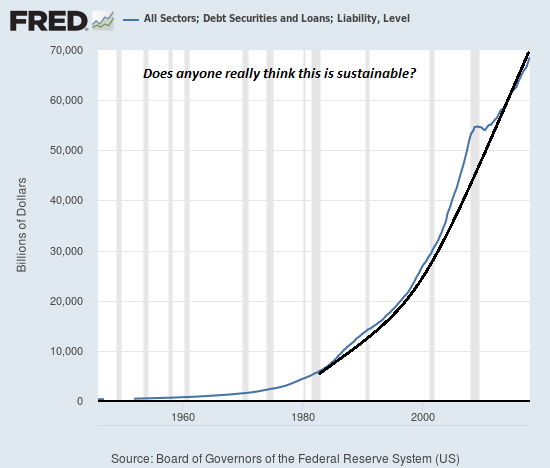 That wasn’t what Janet Yellen, Haruhiko Kuroda, or Draghi were saying. I really don’t think people quite understand just how much trouble China is in right now. That’s no mystery because in the Western media the Chinese economy is almost always described as somewhere between awesome and magnificent (only slight hyperbole). Their government, on the other hand, is not fooled. General Secretary Xi Jinping opened the Communist Party’s 19th Congress with an amazing speech. It wasn’t amazing in the respect of soaring rhetoric announcing some actual, concrete commitment to freedom and free markets; it was instead the opening bell for, I think, a very different world outlook. 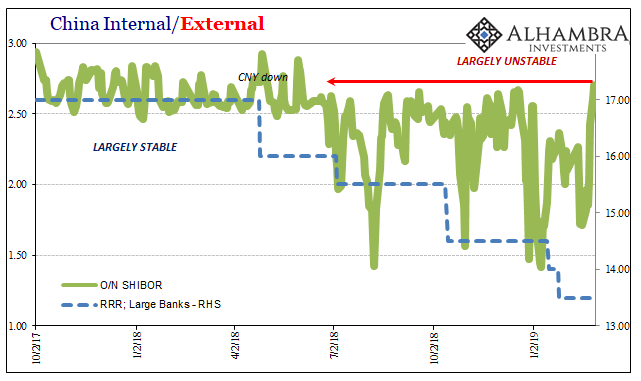 As for the first few months of data in 2019, it sure looks like the Communists were right not to count on Western central bankers and their fictions. It is more constructive context for US GDP. As is the ongoing fallout in Chinese money. Not very helpful, these RRR’s. As I wrote a year and a half ago, China is in trouble because the whole world is.